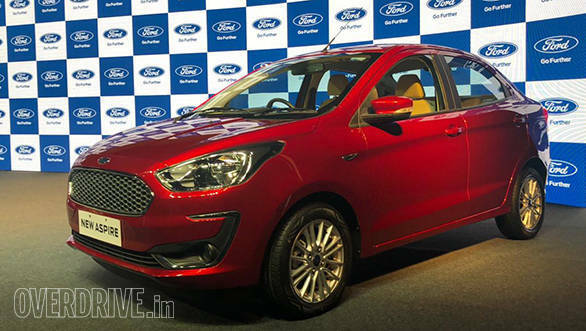 The facelifted Ford Aspire sedan has been launched in India at Rs 5.55 lakh (ex-showroom India). The 1.2 litre Dragon petrol variants are priced between Rs 5.55 lakh and Rs 7.24 lakh while the diesel variants will cost between Rs 6.45 lakh to Rs 8.14 lakh. The top-spec automatic with the 1.5-petrol is Rs 8.49 lakh. All prices are ex-showroom India. 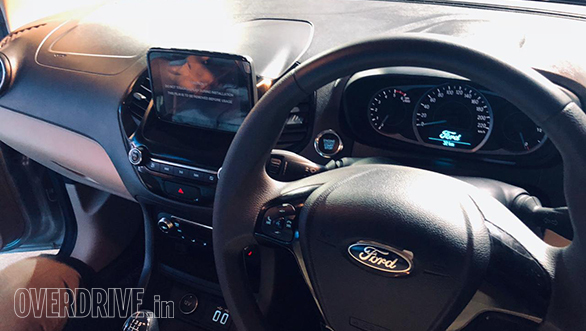 Changes include a new bumper with silver inserts similar to the black ones on the new Freestyle, a redesigned headlamp cluster, new fog lamp housings and a larger front grille finished in silver. Changes to the rear are limited to new inserts in the rear bumper and a subtle black lip at the bottom to break the visual bulk of the rear end. A new alloy wheel design will also be available on the top-spec Titanium trim seen in these pictures. The biggest change mechanically is the addition of the 1.2-litre Dragon motor seen on the Freestyle, which makes 96PS/120Nm. The diesel variant will continue to be offered with the 1.5-litre 100PS/215Nm motor. The Aspire will be available in five trims, Ambiente, Trend, Trend+, Titanium, and Titanium+ at launch. 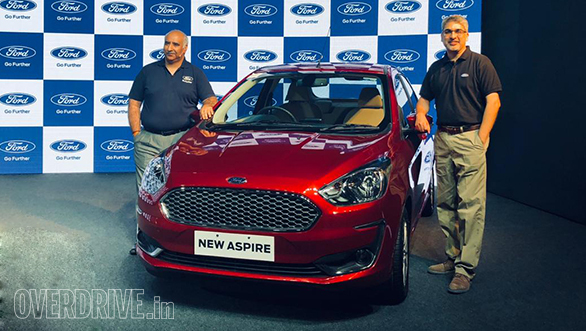 The Aspire will also be offered in an automatic variant which will come powered by Ford's 1.5-litre petrol engine which produces 125PS/150Nm, but only in the Titanium trim. warranty and 3-year extended warranty is also available.